"In the early 1990s, a team of neuroscientists at the University of Parma made a surprising discovery: Certain groups of neurons in the brains of macaque monkeys fired not only when a monkey performed an action – grabbing an apple out of a box, for instance – but also when the monkey watched someone else performing that action; and even when the monkey heard someone performing the action in another room. 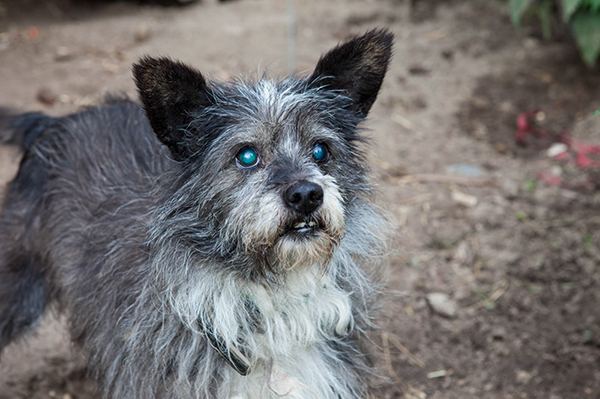 I see and sense myself in the body of this dog. I sense the dry fur, the tension and expectation in the muscles, that something will happen, but I have no referential sense of being blind. Mirror Neurons must learn to feel before they are able to recognize those feelings in others. I can only imagine how it is to live in darkness. But without experiencing blindness, this virtual feeling is just my imagination. What if the imagination is a product of Mirror Neurons as well? This mutuality of feeling is the secret of Empathy, one of the unschooled skills, that I think is significant in Art, Art Education and life. This Italian research has changed the way I view communication. It has also changed my view of the communicative relationship between not only humans or even human and animals but also human and plants. I have become more conscious about how and when I recognize or sense my body in other beings and when I don’t. This identification of oneself in others is important for empathy. 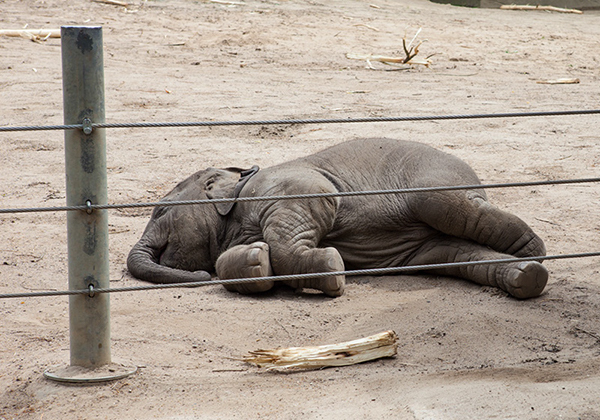 When I look at this elephant from Hagenbeck Zoo in Hamburg, my muscles remember the prostrate position and send me a “signal of feeling”. I recognize the hard, dusty ground, some pain in my knees and hip. I sense the folding of the abdominal skin and how soft internal organs flow on the ground. The elephant’s cheek becomes my cheek. I feel I should get a pillow to put under his head. This, then, is a simulation of my body in the body of the elephant. Is projecting the self onto the other the only way one learns how to feel the other’s emotions? Does this process of learning, or even self-knowledge, have to be so narcissistic and bio-egocentric to become Empathy? 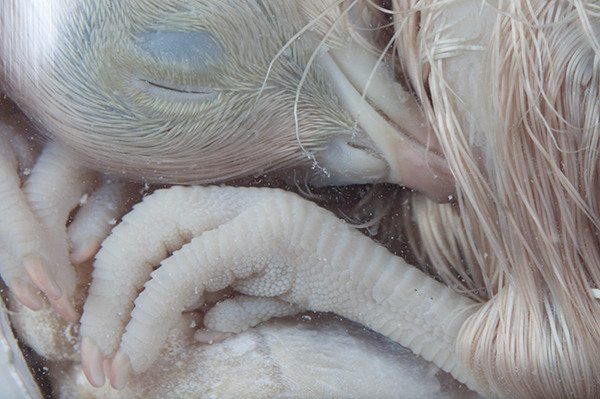 This dead chicken with its long ‘toes’ and pink nails is in a position that I also bodily identify with. Sometimes when I lay down, before falling asleep, my fingers feel like a network of seaweeds that are approaching my face, running close to my mouth as if they are afraid I will start talking. The chicken is in an eternal sleep so deep unlike no ordinary sleep. The silence of this sleep could only come from the touch of Thanatos, the Angel of Death with black wings from Greek and Roman mythology who comes to one and cuts a little lock of hair to sacrifice one’s life to the gods. But in this picture, the chicken resembles the twin brother of Thanatos, Hypnos, the gentle God of Sleep who has also touched him: both sleeping and dead, the two gods are merged in this chicken. Death and sleep merge into silence. Through the body of this little bird, we can experientially feel being dead. How does death feel? Does it feel at all? (This is not for science.) Yet what do Mirror Neurons do when I watch this dead body? Do I feel something I remember? I obviously do not remember being dead, but maybe I may remember my pre-birth times, before I came into being?